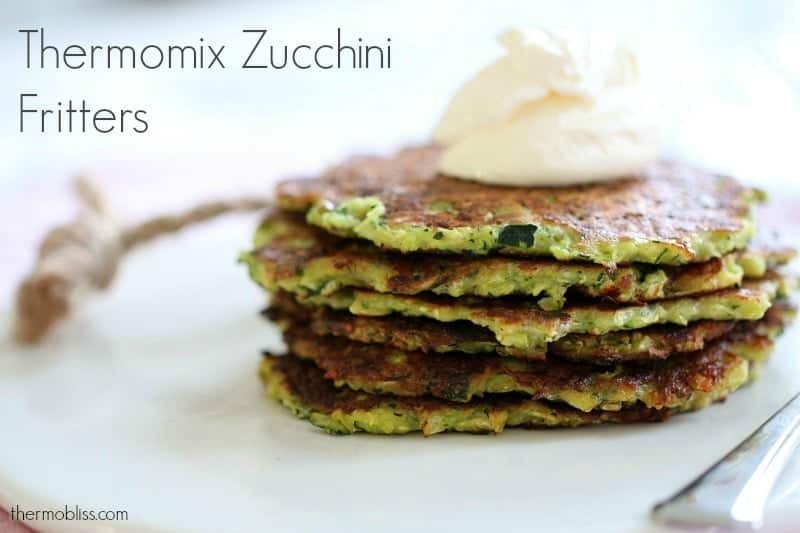 For a quick and easy midweek dinner, you can’t beat our Thermomix Zucchini Fritters! Ready in just 15 minutes, these are sure to be a hit with the whole family. When it comes to cooking dinner during the week, I aim for fast, yummy and easy. 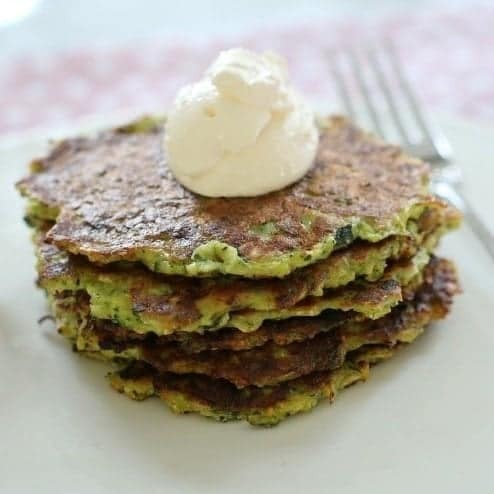 And these Thermomix Zucchini Fritters are certainly all of those things! You can serve them on their own, with a side salad, with some sour cream and sweet chilli sauce… whatever you like! One little tip is to pop your cooked fritters into a warm oven (or your ThermoServer) while you cook the remaining fritters. That way they’ll still deliciously hot. YUM! 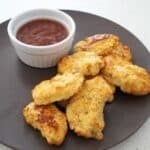 These also make a great alternative to a sandwich in a school lunchbox (or lunch leftovers for yourself!!). 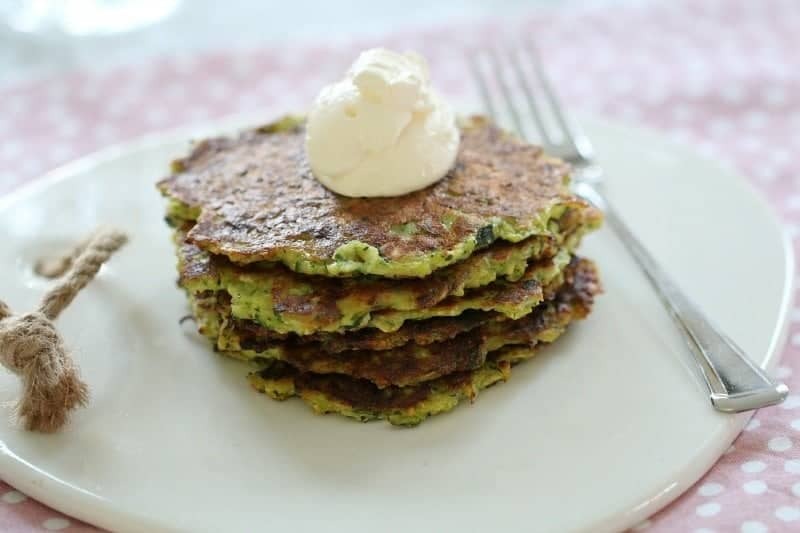 For more yummy Thermomix fritter recipes, check out Lucy’s Cheesy Corn Fritters and Lauren’s Cauliflower Fritters! 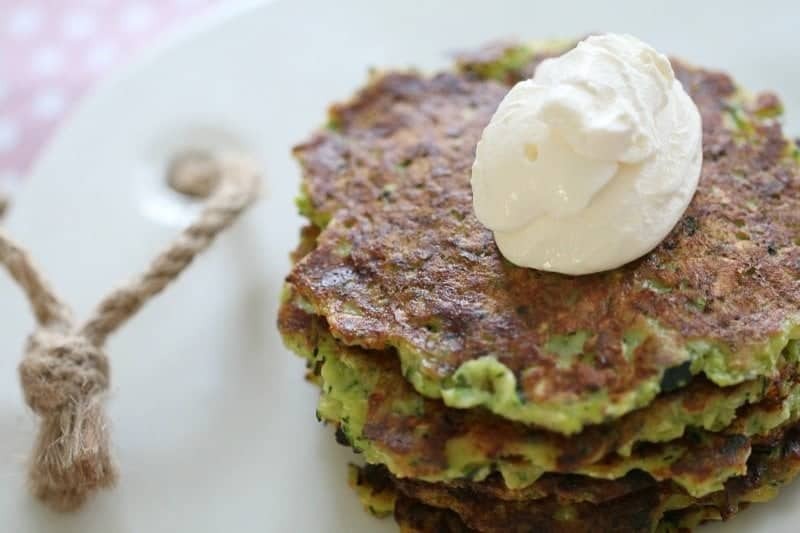 The best and easiest Thermomix Zucchini Fritters! Place the parmesan cheese into the Thermomix bowl and grate on Speed 10, 8 seconds. Set aside. Place the chopped zucchini into the Thermomix bowl and press Turbo/Pulse 5-10 times or until coarsely grated. Place into a strainer and squeeze out ALL of the excess liquid. Place the parmesan cheese, strained zucchini, self raising flour, egg and salt and pepper into the Thermomix bowl. Mix on Reverse Speed 4, 10 seconds. Scrape down the sides of the bowl and repeat once more. Add 1 tbs olive oil to a frying pan over medium heat. Add tablespoons of the mixture and flatten down. Cook for 2-3 minutes either side or until golden and crisp. Place cooked fritters into a warm oven or ThermoServer while you cook the remaining ones. 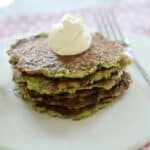 Could I make these the night before and reheat them for breakfast? Or will they turn to mush? You can definitely reheat them! They’re also great for school lunch boxes! Do you think these will work without the Parmesan?